We instruct two valuations by estate agents local to your current property. Each will provide us with a description of your home and a suggested market value. We are happy for you to recommend agents that we can contact. We will calculate and supply you with an on-market price – once you accept this we will take your chosen Devonshire Homes property off the market for a minimum of four weeks. The estate agent will be instructed and we will monitor advertising and viewings each week. If during that period you accept an offer from a buyer with a complete chain in place (with a full memorandum of sale received by the sales executive), you may reserve your chosen Devonshire Homes property (usual reservation fees apply). The estate agent responsible for selling your house will be paid by us upon completion. 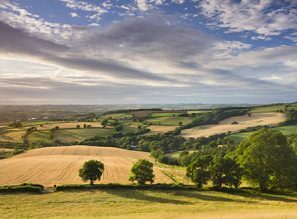 After six weeks if no buyer has been agreed, your chosen plot may be returned to the open market and the Devonshire Move scheme ended. The scheme is only available on selected plots – please ask for details. It is only applicable to the purchaser’s main residence up to circa £300,000. If, once sold subject to contract, the chain breaks, the situation will be reviewed and a decision made as to whether we can extend the scheme. 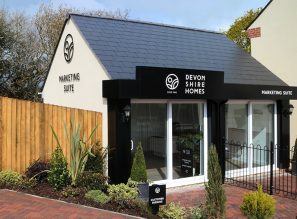 Further promotional offers may not be applicable or available to you at the same time as your existing property is being marketing via Devonshire Move.